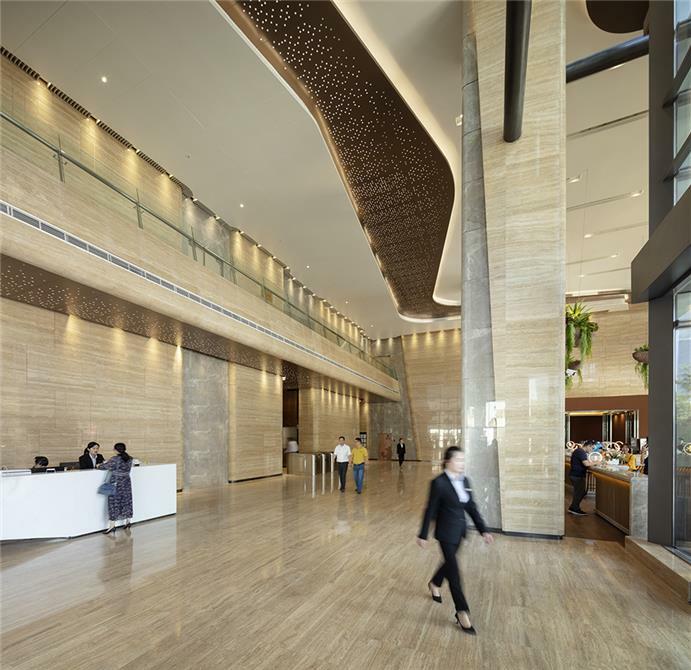 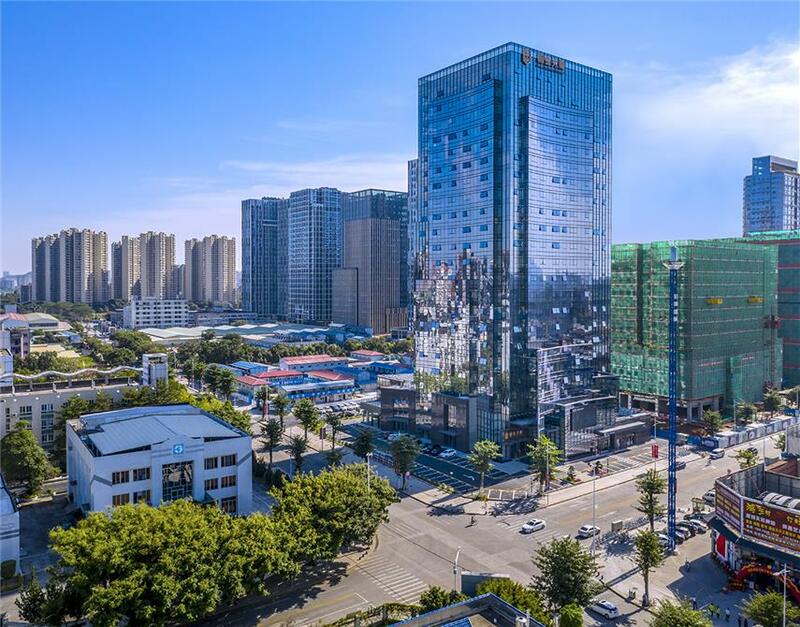 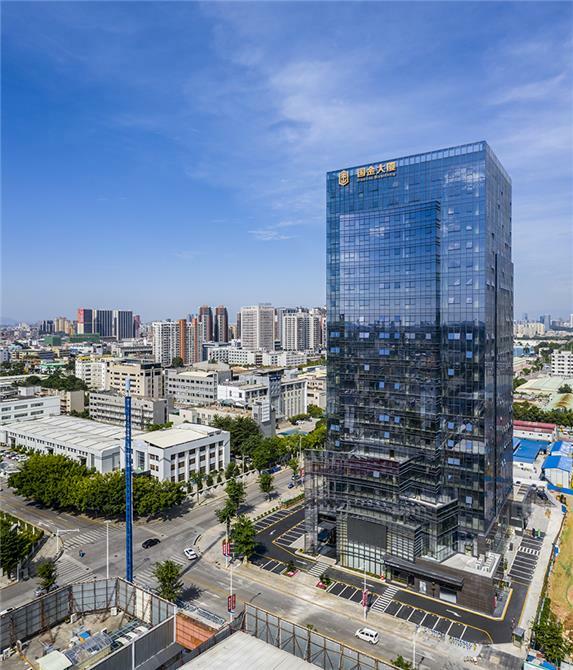 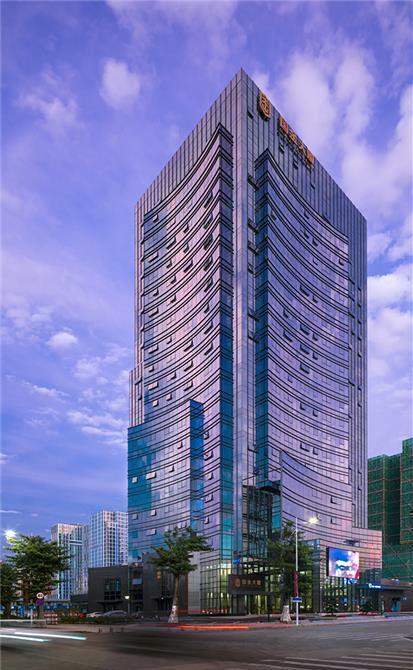 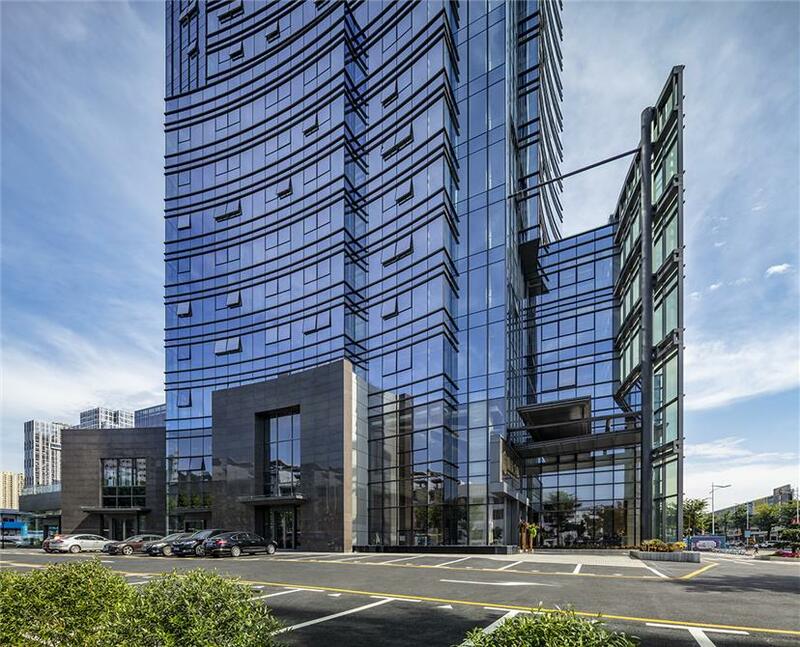 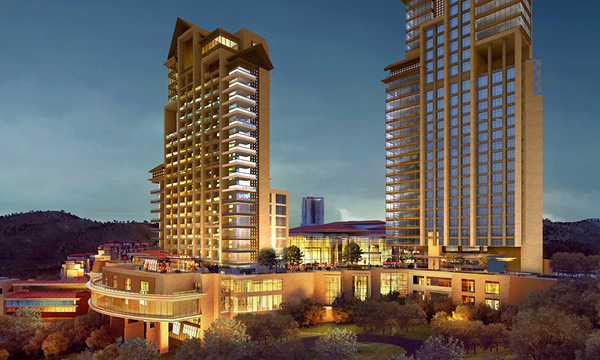 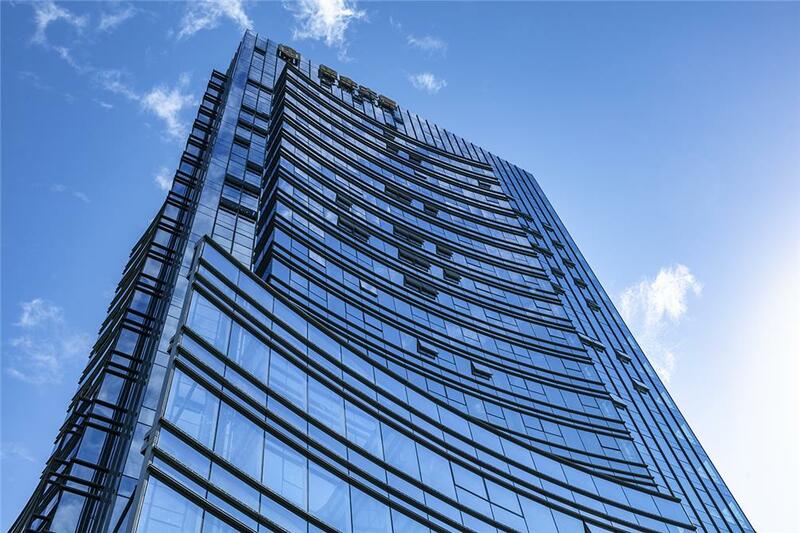 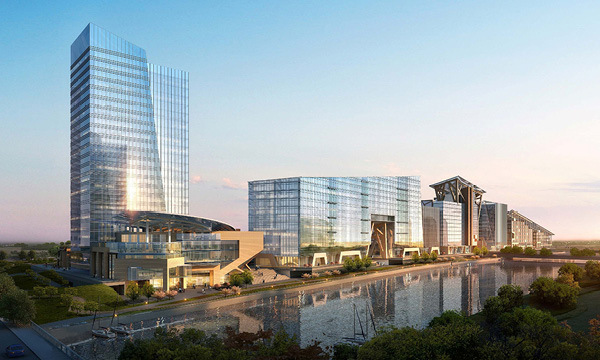 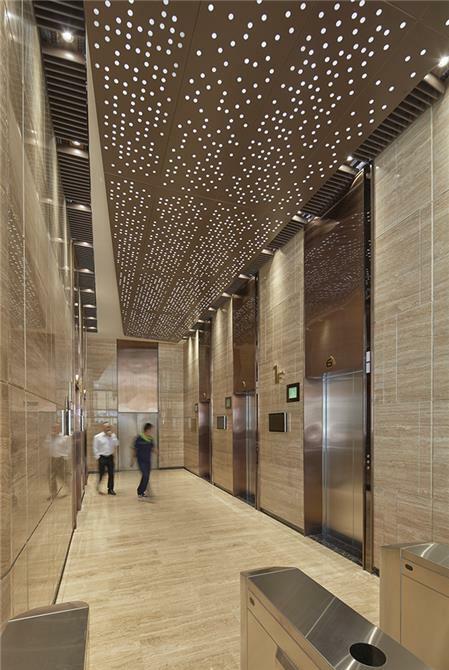 As part of a larger new city center master plan for Dongguan, Guojin Tower is designed as a high-end corporate headquarters office tower. 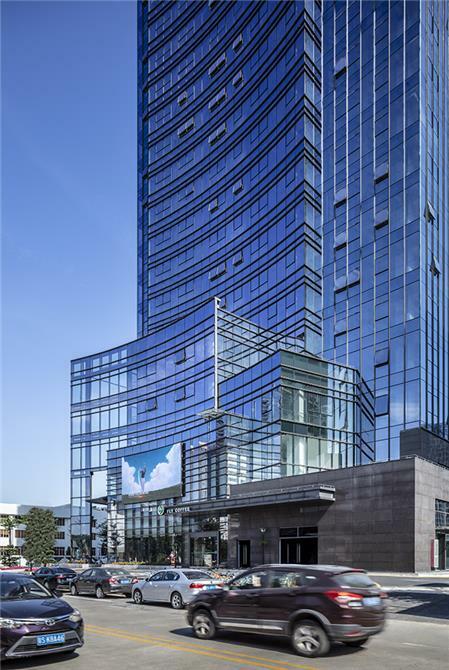 The animated retail facades at the street level along the main boulevard and internal shopping street, distinctively accent and layer the pedestrian-scale character with concentric curves, while expanding the building footprint at the tower's lower levels. 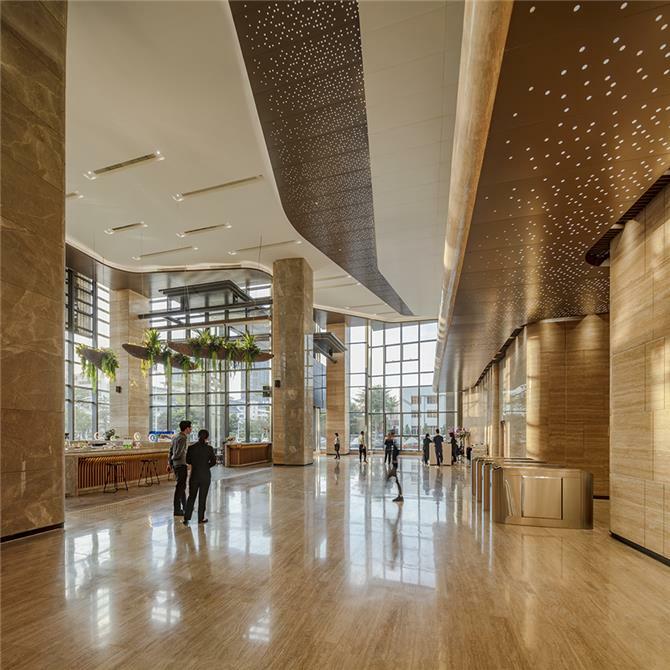 Landscaped outdoor terraces at the second and club levels support the office use, along with a pronounced tower lobby and living green wall.